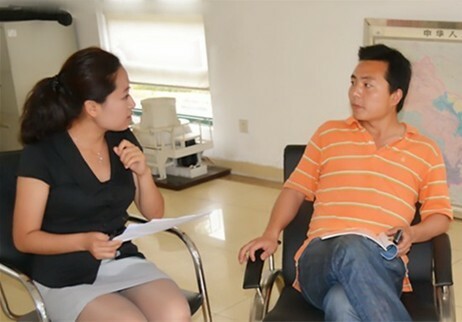 June 17, 2011, the group's president asked the difficulties that logistics system was currently facing at SBM Manager regular meeting of June. When the director in charge feedbacked that the problem mainly relied in the lack of transport caused by the increasing order. President of the board immediately decided to equip new vehicles and drivers for the logistics system, and strengthen human and material resources security. Facing the reporter's interview, the logistics system director said: "May and June are indeed busy months. During recent months, sales department gets better and better momentum of development, thus the corresponding stocking pressure is bigger. According to statistics, during May of 2011, the number of machines shipped is more than twice over the same period last year, making a record. The company made a rapid response and protection decision, and also removed the worries for our logistics system. "July is the month when new employees arrive and register. To ensure new employees take over the work of the logistics system quickly, the 6 logistics system new employees have started their internship. In addition, the logistics system has coordinated with the human resources department to develop a series of training programs, including product knowledge, preparation of orders, product delivery and formalities explanation, professional attitude adjustment and a series of training seminars. The new employees are expected to take their posts in about two months after the training.